In this week’s Investor Success Podcast, with special guest, Mark Jackson, we talk about real estate values: how to add value and invest in the right houses. Please leave us a rating or comments below or on Stitcher, Google Play, YouTube OR iTunes. And feel free to share this post with your social media contacts. 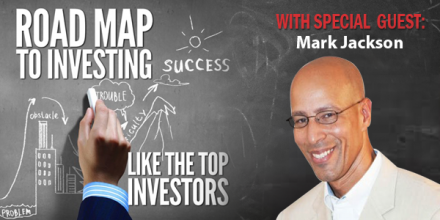 Mark Jackson, fondly known as MJ, has become the go to Valuation Specialist for people who want to achieve more in their real estate investing business. In 1999, MJ founded an appraisal company and soon after found his true gift was Analyzing Property value for real estate investors. Once MJ began investing himself, the flood gates opened. Since 2000, MJ has been able to close real estate transactions totaling in the Millions and maintains a substantial net worth. InvestorCompsOnline was created to help investors like you do exactly the same. Since 2006 real estate investors both domestically and internationally use InvestorCompsOnline to confidently profit every time the buy a property, knowing the right price before they buy. MJ has spoken on the topic of Real Estate Valuation across the US, Caribbean, Monte Carlo, Italy, Switzerland, Scotland, Australia, Japan and Africa. Most recently MJ has begun teaching students to successful Bid on and Wholesale Government HUD Houses. When not traveling in the US and abroad, sharing his “valuation comes first” message, MJ is usually at home working on his many domestic and international business ventures. MJ is married to his lovely bride Toni and has five children. MJ’s main passions are: faith, family, playing golf and real estate.